Hellmann&apos;s delivers even more choices with the introduction of a USDA certified organic mayonnaise. Building on its 100-year legacy of blue ribbon taste and real, quality ingredients, Hellmann’s is adding two new delicious choices to its family of products. Consumer demand has been on the rise for an accessible, delicious organic mayonnaise – and Hellmann’s has responded by introducing an organic mayonnaise offered in mass distribution nationwide. Hellmann’s Organic Mayonnaise has the rich and creamy taste people will love and uses only the finest USDA certified organic ingredients, including organic cage-free eggs and organic oil. It contains no artificial flavors or preservatives. 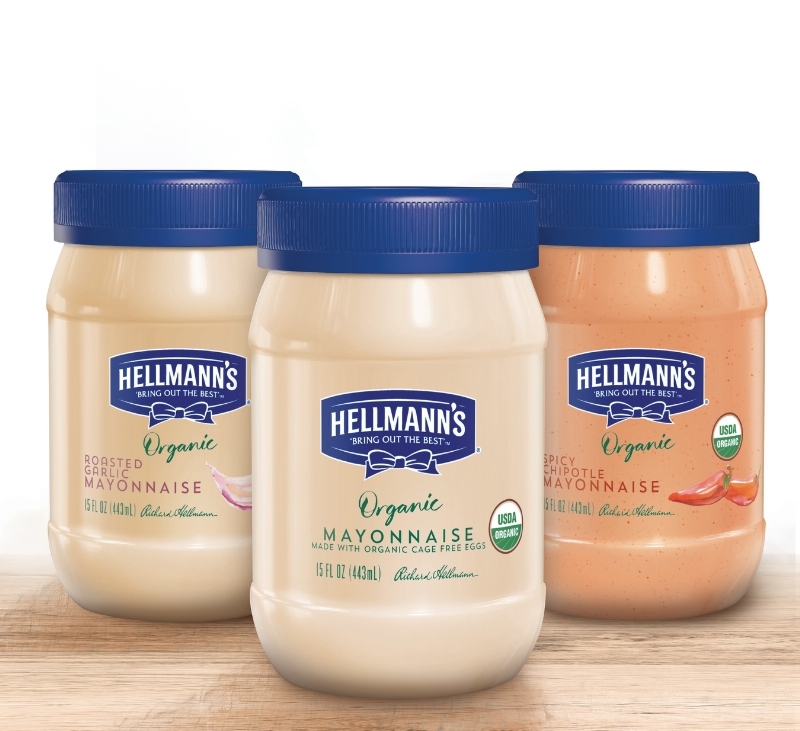 Hellmann’s Organic will be offered in three mouthwatering varieties: Original, Roasted Garlic and Spicy Chipotle. Hellmann’s delivers even more choices with the introduction of an eggless spread, Hellmann’s Carefully Crafted. A growing number of families are looking for eggless spread options due to dietary restrictions, food allergies or personal preferences for plant-based foods. Hellmann’s Carefully Crafted Dressing & Sandwich Spread features the rich, creamy taste from Hellmann’s, but is free from cholesterol*, eggs and artificial colors and flavors. It is also made with non-GMO sourced ingredients. Both Hellmann’s Organic Mayonnaise and Hellmann’s Carefully Crafted Dressing & Sandwich Spread are available in 15 oz and 24 oz jar sizes. Both products will be available at grocery stores nationwide. Hellmann’s products are sold west of the Rocky Mountains as Best Foods. For more information, recipes and tips, visitwww.Hellmanns.com or www.BestFoods.com. Sorry to be rude, but it says, “made with organic cage free eggs,” which is definitely not vegan, and since it is not, I would never support this brand, even if they did have eggless products. There is no such thing as organic eggs, or even worse, “humane” eggs. They are still treated the same way.